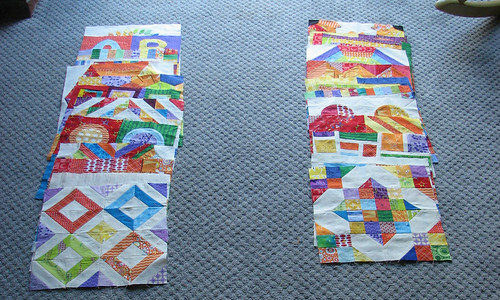 Now that I’m done with the quilt blocks, it is time to decide which blocks go in which quilt. One quilt I am keeping for the new baby and one I am going to donate. It turns out that my kids are really invested in which blocks we get to keep and are determined to have a say. Who knew?? Kids are so funny sometimes. So, I let them help decide which ones we get to keep. 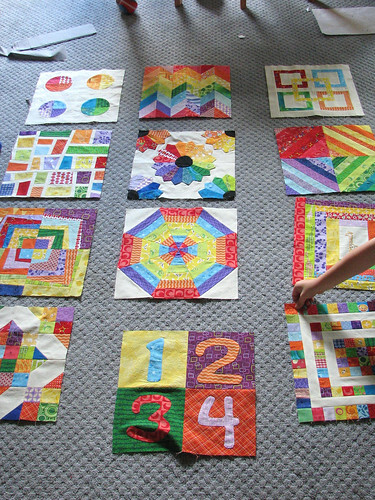 Then, they wanted to help figure out the layout of the blocks within each quilt. 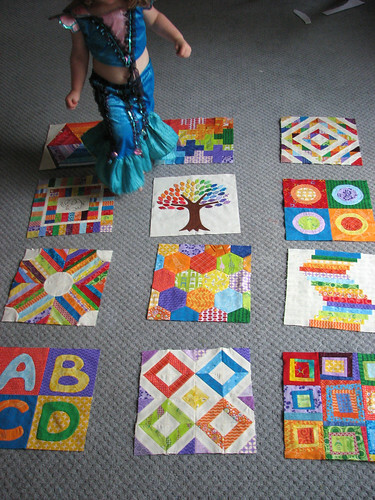 Maybe I have some future quilters on my hands? Or maybe just some future control freaks. Anyway, one result was that I had a hard time getting a picture of this process without a child in the way.